If there is a time that a great number of Americans feast on chicken wings and nachos, it’s during the annual championship game of the National Football League referred to as the Super Bowl. 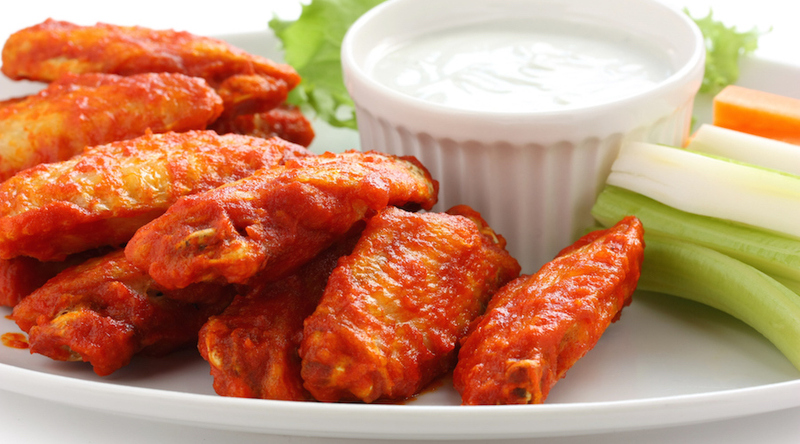 Research shows that almost 1.23 billion chicken wings are consumed during the Super Bowl. However, you know that chicken wings and nachos can be prepared a number of ways. Here are just a couple of simple recipes to try. To ensure delicious chicken wings, they must be dry before frying! Season wings with dry seasoning mix and place them on a tray in the refrigerator 1 to 2 hours. Heat oil in your cooking pan to 170C/340F and set the oven on low. Put a tray lined with aluminum foil or baking paper in the oven. Fry the chicken wings in the oil until golden and crispy (do not overcrowd pan); then, transfer to the oven to keep them warm until you are done with all the wings. Coat with prepared hot sauce or BBQ sauce. Serve with carrot, celery sticks and Ranch or Blue Cheese dressing. **If you prefer baked wings, simply place them along with your favorite sauce in a Vacuvita container, vacuum seal and they will marinade in minutes. Transfer them to a lined baking tray and bake at 400F for approx. 45-50 minutes. This is a perfect accompaniment as you cheer on your favorite team. Heat oil in a frying pan over medium heat and add the onions and pepper. Then, add the garlic, stir for about one minute then add in the spices and oregano. Add the beef mince and turn the heat up to ensure that the meat browns well. Stir in the beans, coffee, sugar and other seasonings to taste. Turn the heat to low-med and let simmer. Serve hot with guacamole, salsa and sliced jalapenos. If you’ve never prepared wings or nachos, get into the kitchen because these are the foods that make Super Bowl more exciting. They are easy to prepare and ingredients are simple. Who’s ready for Super Bowl Sunday snack-time?! With Vacuvita products, preparing our snacks has become a real time-saver. Vacuum storage in our containers and bags will keep pre-cut vegetables as crisp and colorful as the day we prepared them. Store any opened bags of chips in the home base to retain freshness. Marinating the wings in a Vacuvita container will absorb every flavor of your “best kept secret”!